The file Picardy Wars v.17072018 is a modification for Medieval II: Total War - Kingdoms, a(n) strategy game. Download for free. Picardy Wars is a mod for Medieval II: Total War - Kingdoms, created by La_Bayard_95. 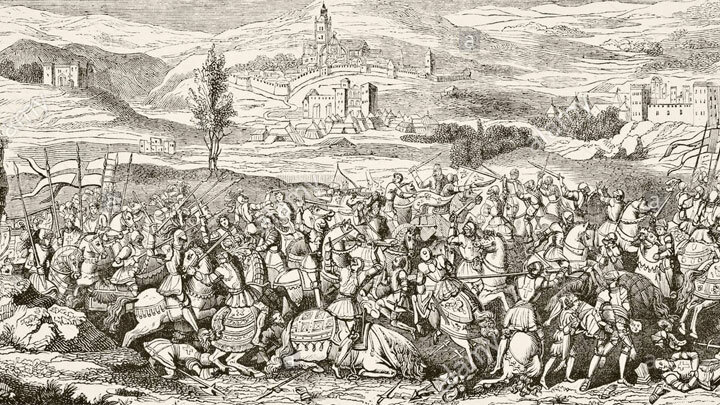 Henry VIII had joined in the Holy League on 13 October 1511 with Venice and Spain to defend the Papacy from its enemies and France with military force. Henry promised to attack France at Guyenne, landing 10,000 men at Hondarribia in the Basque in June 1512. This army was conveyed by the admiral Edward Howard, and commanded by Thomas Grey, 2nd Marquess of Dorset. It remained at Bayonne till October 1512 supporting Ferdinand II of Aragon's action in the Kingdom of Navarre, though undersupplied and in poor morale. Maximilian joined the league in November 1512. Louis XII of France hoped that Scotland would aid France against England. Extract into „custom” fodler (most of the time it will be „c:/program files 86/Steam/steamapps/common/medieval II/data/world/maps/battle/custom”).